Several stone masks over 9000 years old are now on display in The Jerusalem Museum. Many experts believe the masks, discovered in the vicinity of Jerusalem, resemble skulls, perhaps of deceased family members, due to the small, triangular noses and prominent teeth. As such they may elucidate some of the early funeral rites of the first agricultural societies settling in the area. 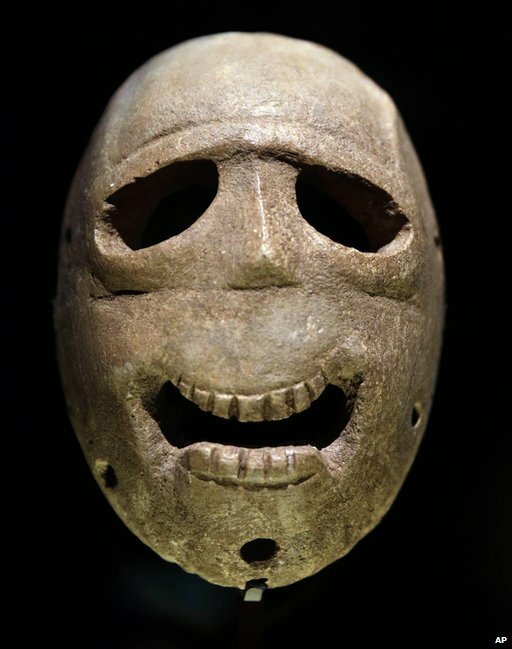 It took ten years of radiocarbon dating to confirm the age of the masks, most of which were in private collections.